The Red Hats are back, in rare form. 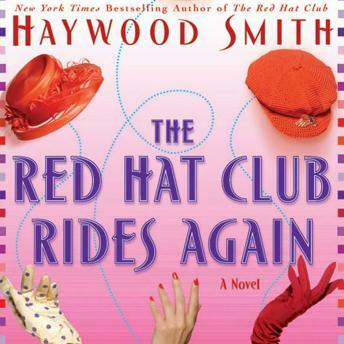 When childhood friend Pru Bonner-black sheep of the group-falls off the wagon so hard it shakes the Red Hats' world, 'the girls' rally to get her into rehab with a hilarious kidnapping in Vegas, and act as her family for group therapy whether Pru wants it or not. Then Teeny celebrates Pru's successful release with a one-month, carte blanche plastic surgery cruise for all six of them, after which Diane explores the unpredictable world of Internet dating. As always, laughter and heart are spiced with secrets, surprises, and pitfalls aplenty, including a pregnancy test for a fiftysomething, a fight for life for one of them, a gold-digging romeo, and a surprise wedding that proves it's never too late for love.